1. You could train as a Street Pastor. Initially the route to joining the Street Pastor team is by filling in an application form. We will then meet you and invite you to join the team as an observer. This is a time for you to see how the team responds and if this is what you would like to do, we get chance to assess you as well. The next stage is waiting for the next team training date, March or September. In the meantime you can join our prayer pastor team and pray for the team as they go out, hearing all the stories they share on their return. 2. You could become a Prayer Pastor. As a Street Pastor team we do not go out on the streets without prayer cover. We believe situations change as we pray and as prayer requests are passed back to the Prayer Pastors during the evening and early morning. The team of Prayer Pastors are based at the church we work out of and are a great support to the Street team as they return for breaks. 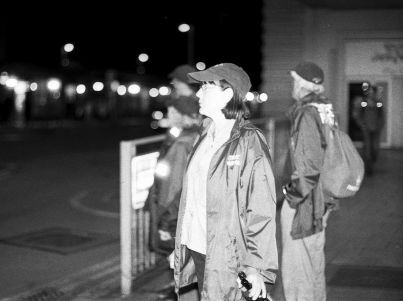 To join this team request an application form from admin@kingston.streetpastors.org.uk. 3.You could become a Home Prayer Pastor. We have around 250 people who cannot go out on a Friday or Saturday until 4am, for various reasons. They receive a prayer letter weekly with short accounts of our experience and pray for us and the issues during the week. To join this team please send your email address to admin@kingston.streetpastors.org.uk with a request to join that team. 4. You could financially support the work of Street Pastors Kingston or fund raise on our behalf. This is a vital role and one we would urge you to consider. To contribute please send for a gift aid form, or text SPKN14 to 70070 followed by the amount or go to www.localgiving.com and search for Street Pastors Kingston.